Our goal is to properly utilize natural/sustainable solutions in today’s developing world. 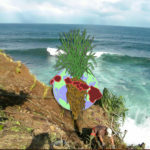 Vetiver Farms Hawaii consults, produces and installs Vetiver for the community, commerce, and governments. Specializing in applications in tropical environments. Our experienced team consists of internationally trained and educated engineers, scientists and technicians specializing in: slope stabilization, erosion control, flood protection, constructed wetland design and leachate control. All Vetiver is cultivated using natural farming and permacultrure methods to leave a positive agricultural impact.These methods result in a low cost to the environment and our clients.